This new page contains links to some other sites that you might find useful. There are only a few at the moment but it will expand. Please get in touch if you have any suggestions. Various English learning and teaching materials from the BBC, mostly for upper-intermediate or advanced learners. Intermediate to advanced lesson plans by Sean Banville, a teacher in Japan, based on current events and news stories. See also his activity book, which contains ideas that can be used for various kinds of lessons. Lots of resources for language learners and teachers at all levels. The best online Myanmar dictionary, with support for Myanmar-English, English-Myanmar and IPA (phonetic script). 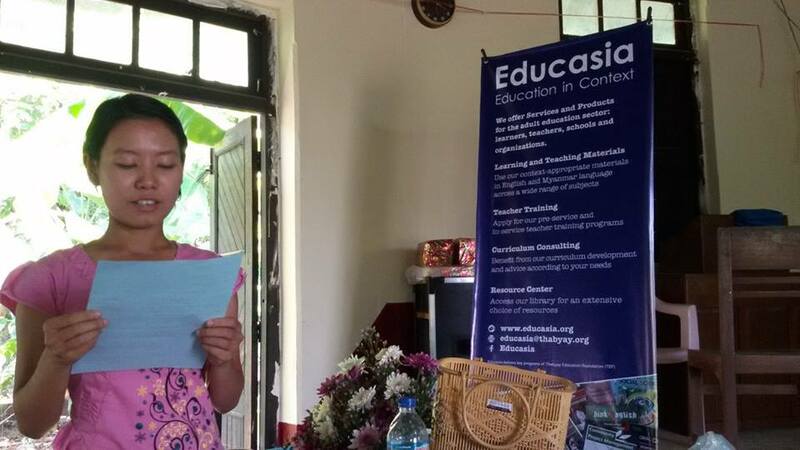 Resources for Myanmar language learners and teachers, including a downloadable, free version of John Okell’s Burmese by Ear, and information about courses at SOAS. NOTE: Burmese by Ear is available to download in smaller chunks from our Other Stuff page. The Exam Preparation Outreach Program provides free academic English and study skills courses to help prepare Asians for study abroad. 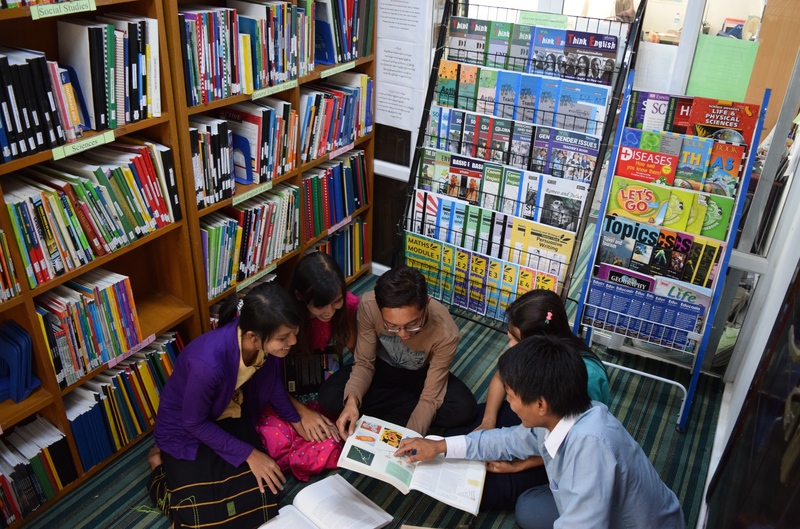 The British Council provides various Education opportunities in Myanmar and other countries in the region. Most are expensive but there are also some scholarships available. A very incomplete list of centres that teach English in Asia. Provides information for Myanmar people who want to study at universities abroad. Free online lessons at beginner to ‘intermediate’ level from the Centre for Southeast Asian Studies at Northern Illinois University. 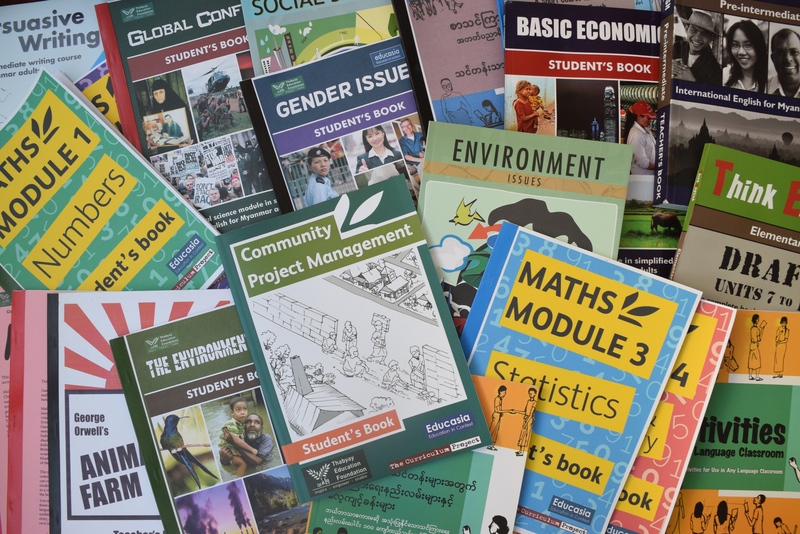 Resources for learning and teaching Myanmar, including John Okell’s Burmese for Beginners, and information about courses at SOAS. NOTE: Burmese by Ear is also available to download in smaller chunks from our website. Everybody who types in Myanmar, Kayin, Shan or Mon should use Unicode. This site explains what it is and helps you get set up. It also has lots of other useful software, such as the best available Myanmar font converter (e.g. for changing Zawgyi text to Unicode) and a Myanmar spellchecker extension for OpenOffice. Wikipedia written in simplified English. Hasn’t got as many articles as the main English one, but still useful for non-native speakers. If you install Okawix you can download the files onto your computer and view them offline. Wikipedia in Myanmar language. Hasn’t got as many articles as the English one, but still useful if you know Myanmar. If you install Okawix you can download the files onto your computer and view them offline. A website for finding jobs in the development sector.